Larger cans, higher alcohol content, and sold in convenience stores meant mike’s HARDER needed to differentiate itself from its parent company and connect with a new consumer. 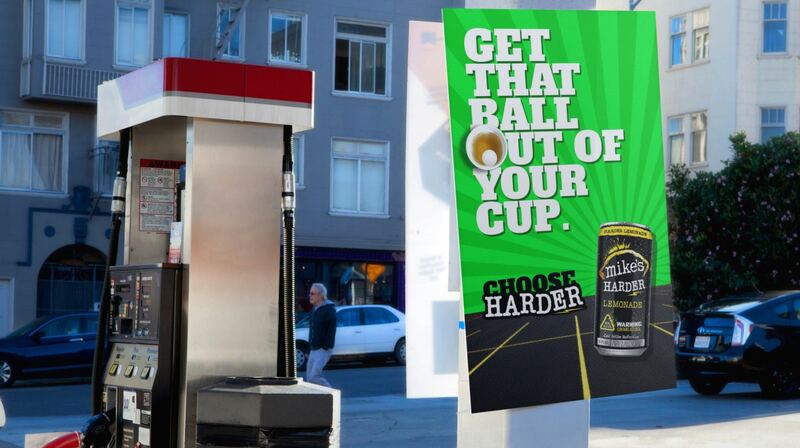 HARDER connected retail signage to a web-app supported with social posts to reward consumers for going harder. 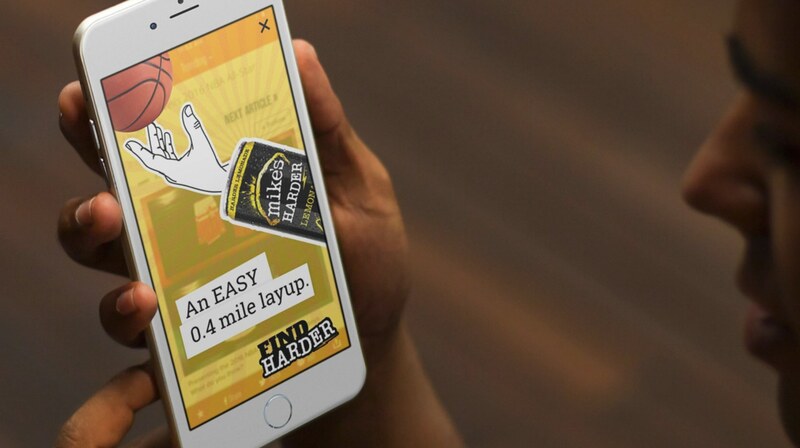 HARDER is a brand under the Mike’s Hard Lemonade portfolio specifically created to conquer the single-serve beverage market in convenience retailers with limited shelf space for larger packs. The target consumers are urban, millennial males in the 21-29 age group. 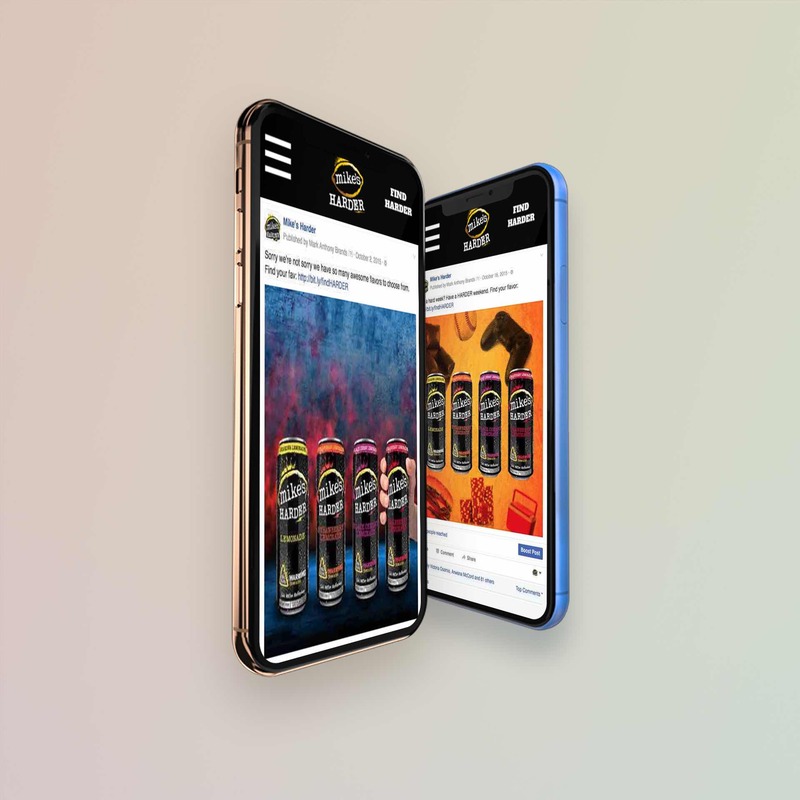 The objectives of this project were aid the shoulder sales months by keeping the brand top of mind through key partnerships, creative assets and media placement. a 16oz or 23.5oz single-serve offering. The competitors are Four Loko, Bud Light Lime-a-Rita, Redd’s Wicked and Twisted Tea. HARDER is also one of the fastest growing brands in the favored malt beverage (FMB) space. 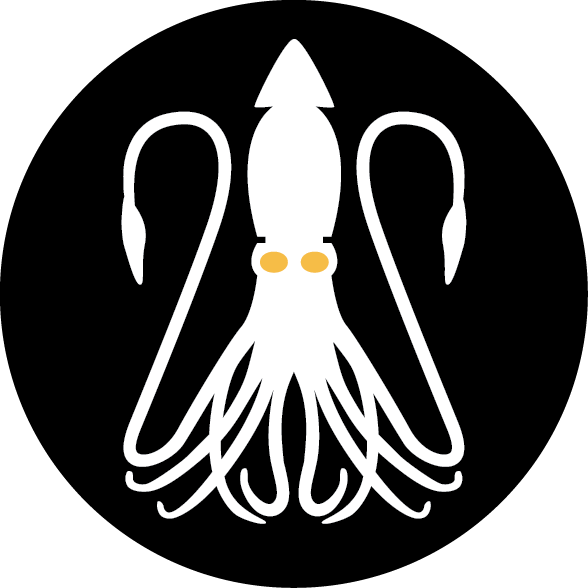 It also owns the EDM, gaming, and street art/tattoo segment. The target is multicultural millennial males who make a daily C-store stop, going straight to the cooler with a brand already on their mind. Or they go to the grocery store to get ready for pregame, pre-party. This consumer is looking to push the boundaries so 8%+ ABV is a big selling point. 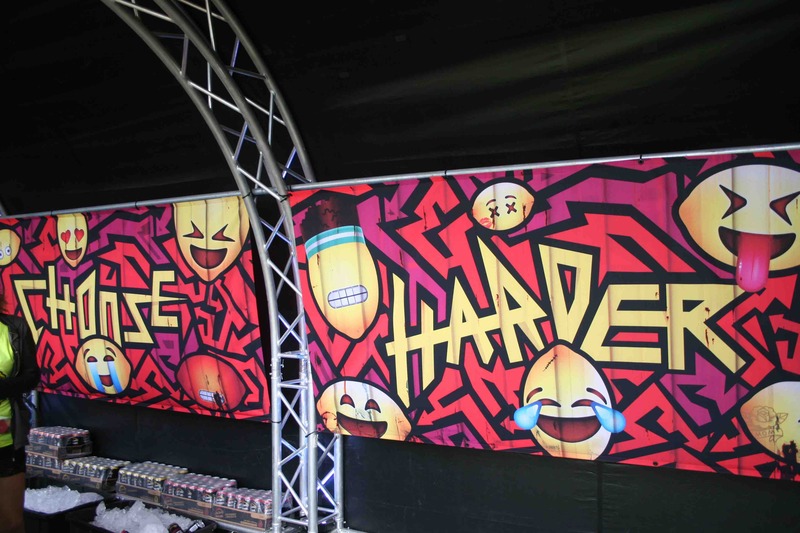 HARDER is a seasonal brand, which required specific campaign initiatives for off months, primarily winter. It must stay top of mind with consumers and keep them loyal as they move quickly from trend to trend, product to product. Identify key interest points for the HARDER and build creative assets around them from retail, social media, video and activate through partnerships, national media and events. Partnership: Orchestrated a partnership with Android Operating System to provide consumers access to the latest and greatest technology before anyone else. This positioned all creative assets and placement for the campaign. Retail: Messaging was quick, witty, and leveraged the Android robot for additional awareness. 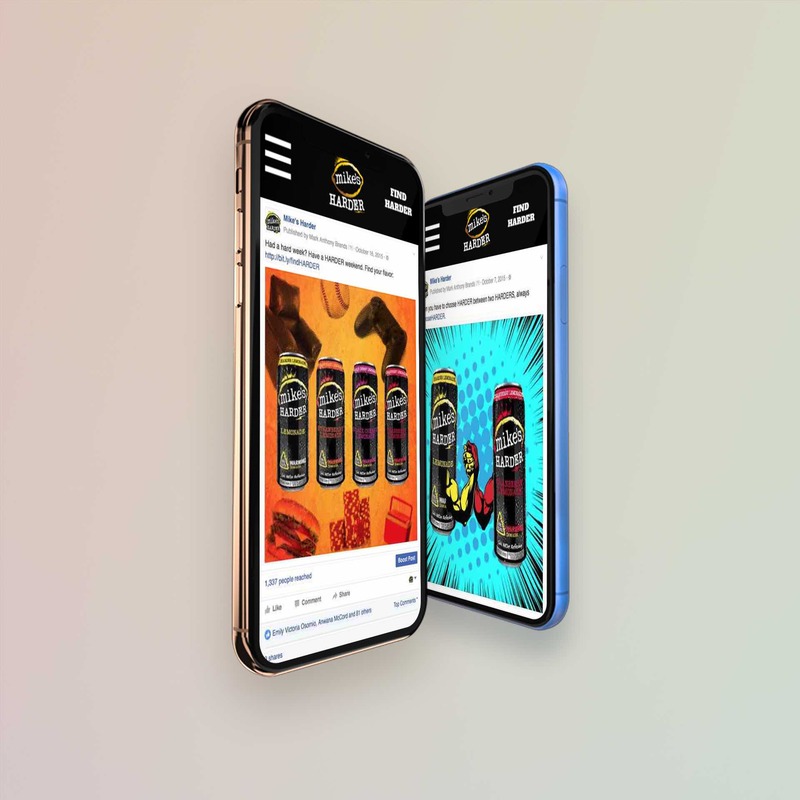 It was designed to direct consumers at convenience stores to an online presence where consumers could redeemphones for free and interact with the HARDER brand. Social Media: Photography assets created to drive partnership awareness among HARDER fans. Paid social targeted specific devices in need of upgrades and promoted the HARDER brand for providing free upgrades to fans. 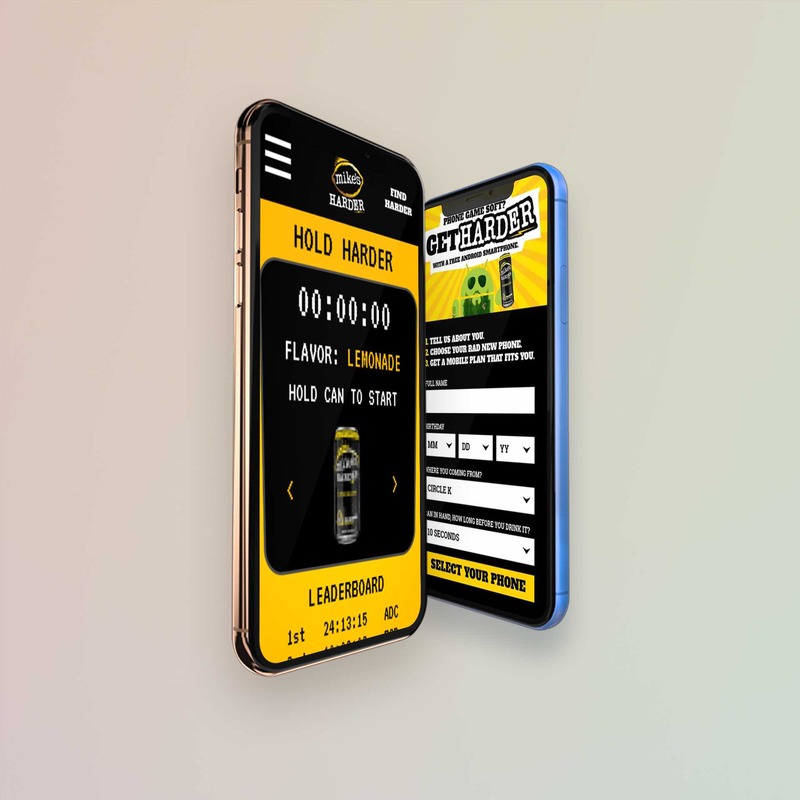 Video: Create a series of video assets designed specifically for social media and online ad placement driving consumers to the HARDER website to redeem phones and encourage usage of product locator for purchase. 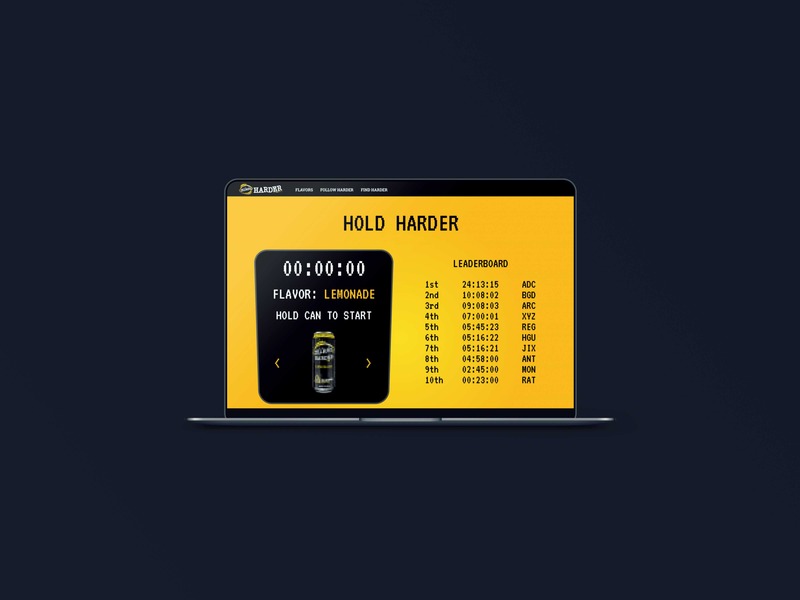 Website: Design a game within the product locator to encourage usage and purchase intent by rewarding consumers who connected social profiles with prizes based on the amount of time they spent engaging with the website. Work alongside the brand and media agency to determine targeting and correct online channels for video distribution as well as work directly with publishers to create awareness through high visibility channels and influencers driving traffic to the HARDER website. 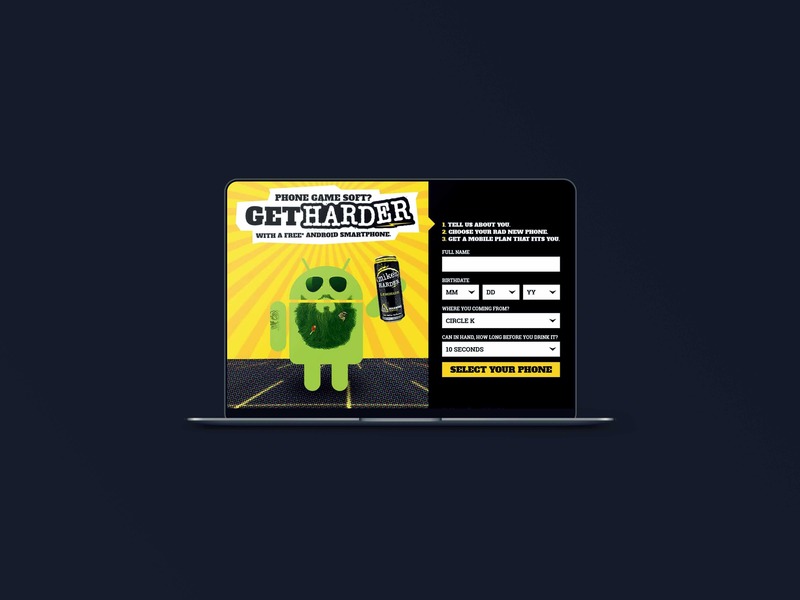 Signage was placed in over 1,000 conveince stores across the country calling for users to play the game to win an android device. The HARDER website reduced it’s bounce rate by 30% by engaging consumers with the online game. The game led to over a week’s worth of play (in total minutes) across 500+ unique users.